Some of the most inexpensive ways to get your home ready for the appraisal include cleaning up outside, adding new house numbers, painting your front door, and adding potted plants. Be sure to use an even number of planters to make the look more symmetrical. Houzz says to replace old fences and worn areas to make sure the area looks fresh and inviting. Overgrown greenery is likely to lower your appraisal. Make sure that the appraiser knows that you are informed about the local area. Show listings for at least three homes that are comparable to yours. You can find many reputable sites online and print out a report that is easy to share. Your appraiser can choose to use your information or his or her own when you have the inspection. Showing that you know about the area will let the appraiser know you are serious about getting a fair price listing. Realtor says to imagine looking at your home as if you were the buyer. Try to be objective and get into the nooks and crannies to find problems. If you are critical of your home, then you can avoid embarrassment from items that can turn off buyers like hanging lights, broken switches, sticky cabinets, and tough moving shower doors. Be sure to inspect for leaks. Remember to check the roof carefully. You do not want to try to sell a home that has puddles or drips on open house day because the rain is coming down hard. Be proud of the upgrades you put in your home. Keep a file with all the receipts and make sure that you show it to the appraiser. You can use this list for the new buyers and the listing agent when you list your home or condo for sale. The file may get you top dollar because someone else was not diligent enough to do the same thing. 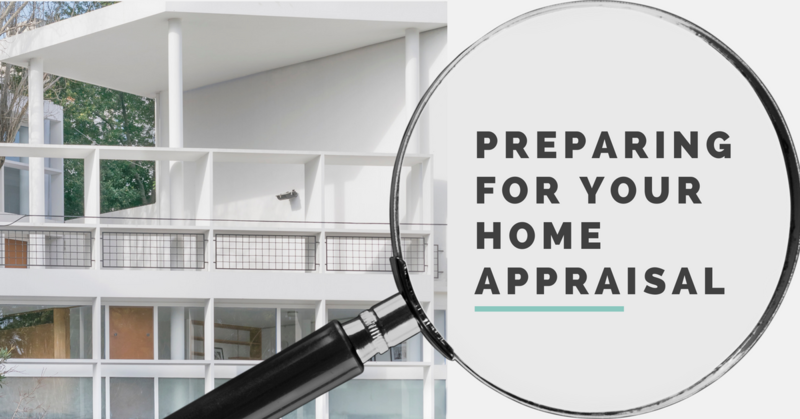 Preparing your home for the appraisal is much like getting ready for an open house. The only difference is that you do not want to stage the home. The cost is money wasted because you will need another staging before the showing. The key is to look at your home with new eyes. This way you can see what everyone else sees when they visit your home.